Yesterday, I watched a child run really fast down the sidewalk dribbling a basketball. He was smacking it hard and the pavement returned the force right back to him. Everything was in rhythm - his legs, his arms, his pace, and his ball. I thought about how good this must feel and I wondered why and then it hit me. It was energy. He was giving it to the ball and the street was giving it right back. 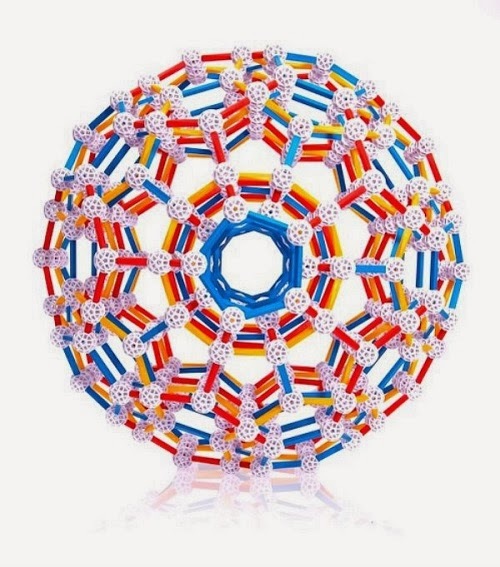 I know ball play is often encouraged for both fine motor and gross motor skills and even for speech and language issues (it's about taking turns in conversation). I value that approach but I think we should also take a look at it from an energy perspective. All of us struggle with energy. We are often too tired. Kids are often too excited. No one really seems to know how to modulate it so they can enjoy their life to the fullest. Kids especially are still learning how to use their own energy efficiently. Their inability to regulate it usually gets them "riled up" and in big trouble. This is why I like Bounce-Off. 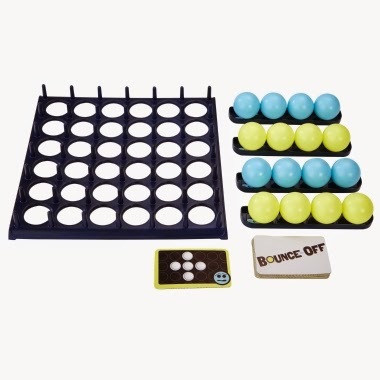 This is a fun game where players must recreate a pattern on a card by bouncing colored ping-pong balls off a table so they can land into a grid. I suppose it sounds easy but it isn't. Why? Well, this isn't something we do everyday. I can't even think of an equivalent except for maybe some pub games. And that makes sense to me. 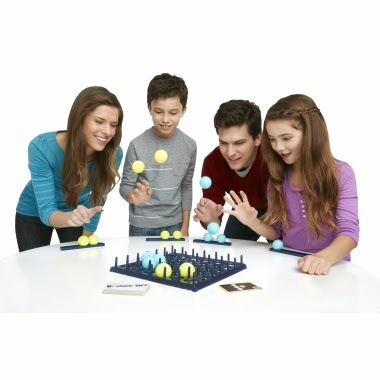 Pub games are great for kids minus the pub. Pub games can be very exciting- a bit too exciting. Some of us can get lost. In actual pubs, some of us can have one too many. For kids, they only get a rush from the thrill but if they are overcome by that, they can never win. Likewise, if they hyperfocus, they may never enjoy the game which is an equal loss in my book. 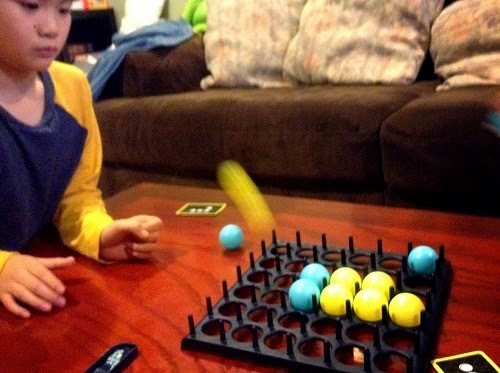 In our house, Tester 1 has laser-focus (hey bud, it's a game!) and Tester 2 gets so excited, balls fly into everything BUT the grid. How do we find balance? I think we just have to play. I think the more we play, the more we will practice the kind of self-regulation that many of us (even adults) lack even when we are having fun! (Picture dads at Little League) If anyone else has any ideas, please share. In the meantime, I think we'll just be playing with this awesome game. I love the colors and I think it appeals to both sexes. The grid is sturdy and I bet that if I stare at it long enough, I'll find twenty different uses for it. 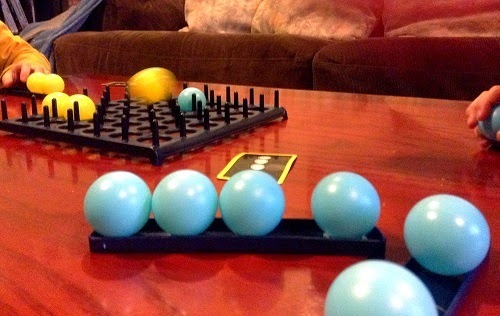 On gift unwrapping day, take care to play in an area where you can easily spot the balls that run rogue off your table. You don't want to lose it or have someone step on it. Tester 8's mother is an incredibly smart woman. I once offered to send her a $100 robot toy and she turned it down fast. It's going to collect dust, those things always do, she told me. This family parented by two professionals working in non-profits is humble, always gets books from the library, and is a very thoughtful toy shopper and tester. She frequently finds great products herself and advocates for a review to help you shop smarter. Having said that, I was really happy to hear that the Air Brush Designer was successful in their home. Tester 8's mom was worried initially because the product was made out of such a lightweight plastic, she didn't think it would work but it did! To be sure, a little trial and error was needed to get accustomed to the spray nozzle but once he got it, he got it! What is the learning part? 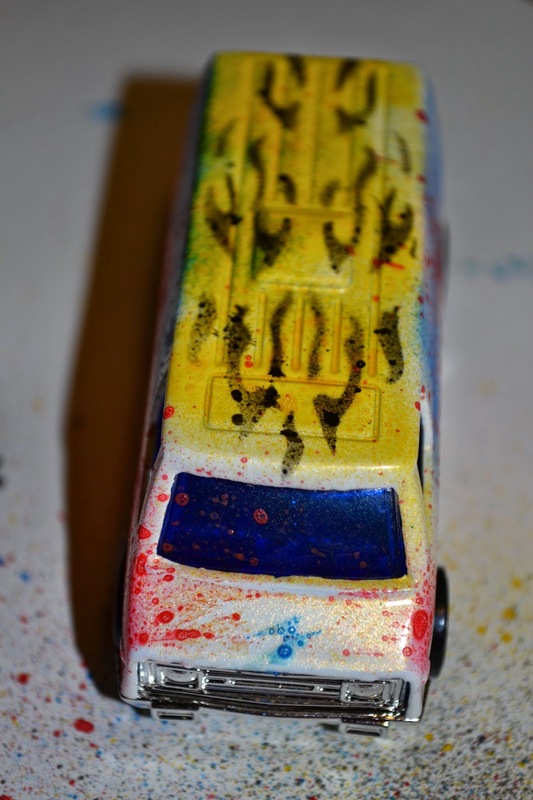 With stencils and an airbrush at his disposal.Tester 8 had a lot of fun painting his car. He was also excited to see that tracks could be attached to it. 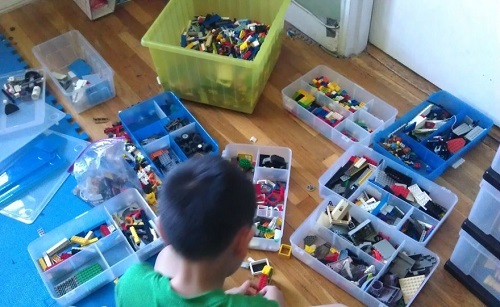 His mother noted that one of the skills he practiced was executive functioning. By making mistakes, he realized that he needed to plan ahead. I really like that because this is a big white van that kids are getting. Even though it is still a small toy, a child must think ahead and then put a underlying coat, then stencil, then other decorations if any. 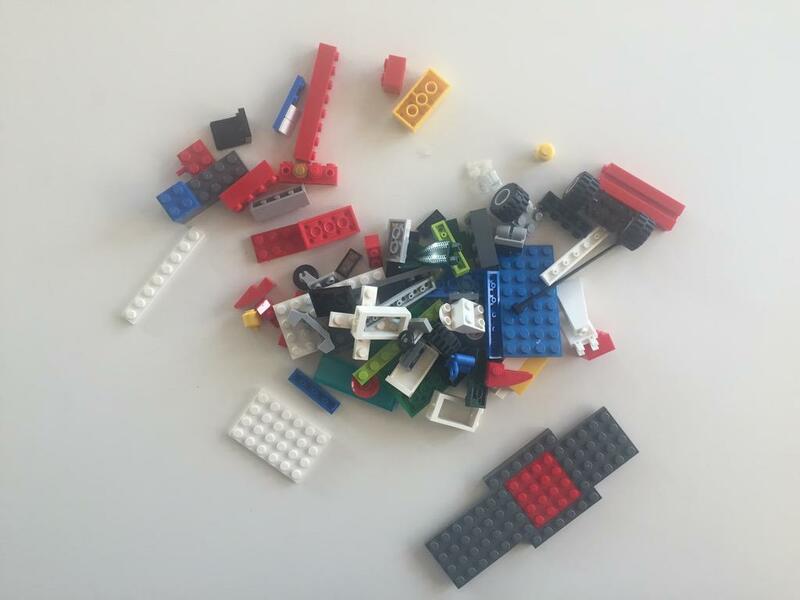 Being able to execute a multi-step process in play is quite possibly more difficult than being able to execute a multi-step process in school. It is always harder to create a vision, with limited options, plan the details, start, solve problems along the way and then eventually finish. The reason why this is harder is because it's play, there is always the option of giving up without consequences. The same cannot be said for schoolwork. Tester 8's mom felt that designing on the floor on top of a sheet of paper might be easier because the garage platform tended to be lowered a little. However, Tester 8 really liked the platform nevertheless. It's really a spray MARKER! The airbrush can somehow extract paint from a marker, less mess! The nozzle is also adjustable. 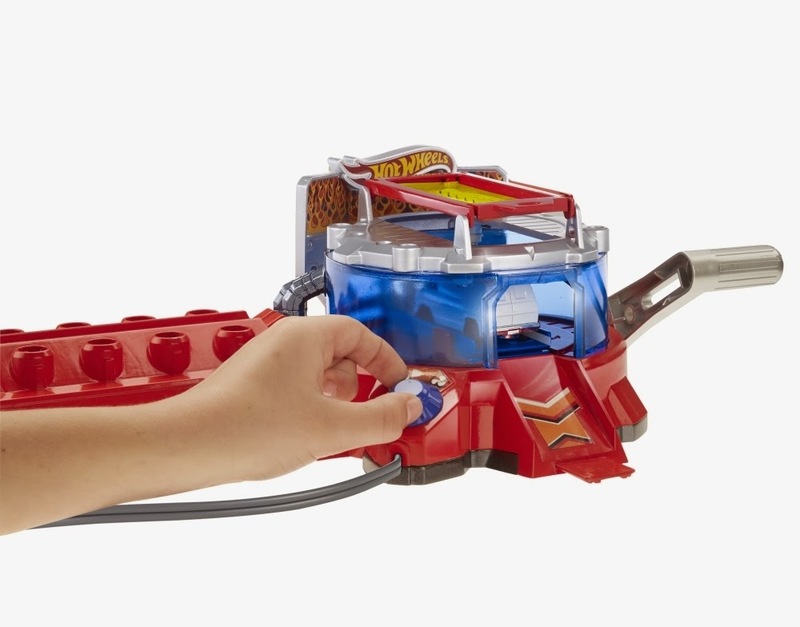 If choosing this toy with a child, direct him to actual videos and photos. Illustrations, like the one on the box can sometimes cause kids to feel inadequate since they will expect more from themselves. 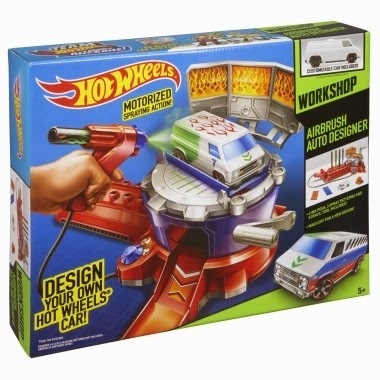 Tester 8's mom, mother of two boys is grateful to have an arts and crafts kit that is heavily marketed to girls (as most are). As a mother of two boys myself, I totally agree. We need more gender equality in the arts and crafts section. 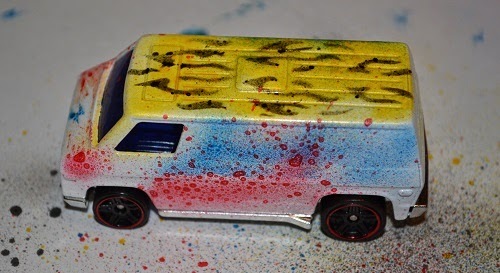 You can buy extra packs of markers and cars as well. I want to get my grandkids an Innotab for v tech and I want one of the new instant cameras. I'm uncertain as to whether or not I am buying any electronics this year. I might buy my granddaughters a Kindle Fire. The Ever After High Dolls are really quite beautiful. My granddaughters really like them too. Are you talking about the Fire HD Kids Version fo $149 or the Fire HD6 for $99? The Kindle Fire for $99. I probably won't be buying my kids any electronics this Christmas. 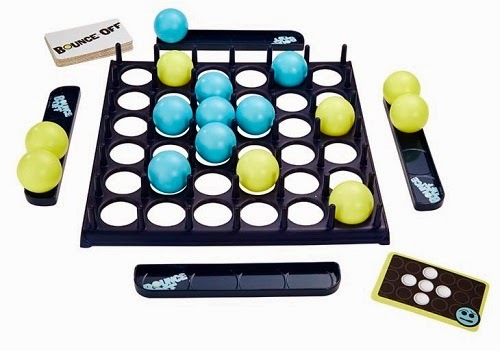 My 9 year old daughter has been asking for good old-fashioned board games! Thanks Karen. Always interested in finding out why grownups choose non-kids versions sometimes. Would love to know how old your granddaughters are? Hi Jenn, The granddaughters are 10 and 4. If I get the Kindle Fire HD6 it is my understanding that there are still parental controls, plus if we decide to use the Amazon FreeTime application we can get that for $2.99 a month. Of course there won't be a protective case, so that is something to consider. I am not buying electronics this year but I have quite a bit in the past. Marybeth, I would love to hear what you liked the most and least in your electronics buying adventures. 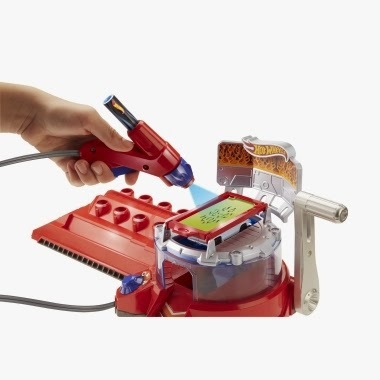 I'm thinking about an innotab for my kids. 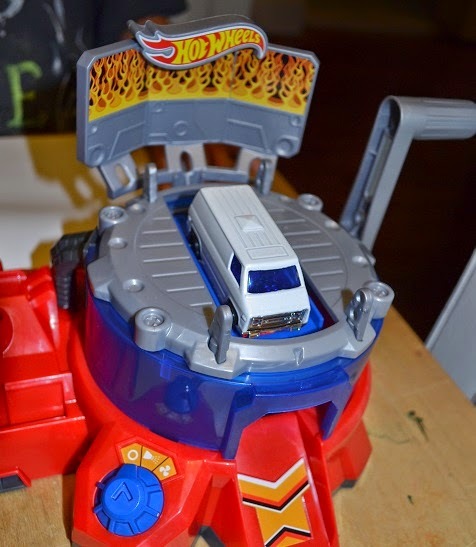 I also like the TURBO ZIP LINE STUNT RACE Set at mattel. Wow, the game looks pretty fun. Not so sure about the painting set, but I know my kids would love it! My daughter still plays with Barbies, so any of theirs would be perfect! 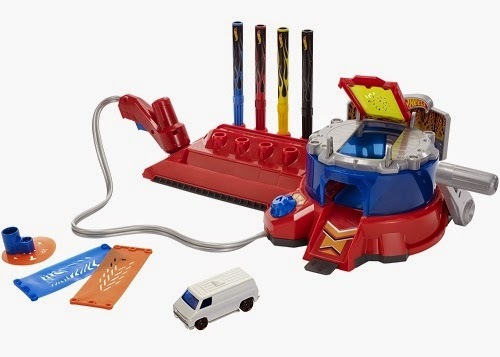 The Turbo Zip line Stunt Race Set From Mattel Looks Fun!